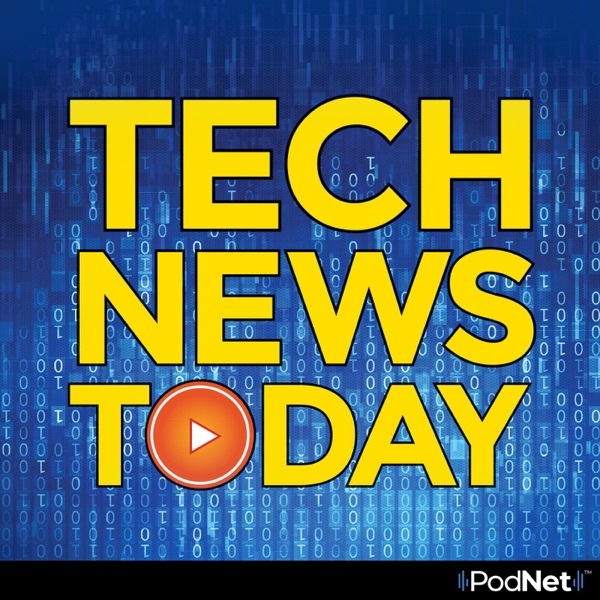 Tech News Today | Listen Free on Castbox. © 2019 WestStar Multimedia Entertainment, Inc.
Latest hack could put thousands of FBI agents and government employees at risk. Worried about hidden cameras at your next Airbnb stay? This free scan will tell you if someone is watching. There are alternatives if you're tired of Google's privacy issues. Apple's IOS Photos app is getting smarter in helping you organize all the photos in your iPhone. A metal 3D-printed guitar is proving to be unbreakable. Listen to the tech news you need to know. Two out of three hotels inadvertently expose your personal data during online bookings. What you need to know about a settlement in the big Yahoo data breach case. Amazon wants to turn your dumb speakers into smart ones by using Alexa. Find out the best tracking apps and tools to locate your phone or family. You may sleep better if you share your bed with a robot. All the tech news you need, in 15 minutes. A router used by millions is vulnerable to hackers. An innovative new app shows your Facebook, Twitter and Google privacy gotchas. If you have a video doorbell, you need to be on the lookout for thieves. Find out about Netflix’s secret codes that unlock a ton of new search options. Drone deliveries are finally happening, in some places anyway. Catch the tech news you need to know. Spyware posing as legitimate apps is affecting not only Android smartphones but iPhones too. A new maps feature might help you avoid getting stuck in a traffic jam. You'll see robots at this national, big-box grocer soon. Watch a brand-new movie from the comfort of your couch, but it’ll cost you. A big breakthrough could mean getting from New York to London in under an hour. Listen to tech news you need to know. Robocallers changing for the worse and use your own info. Kids can still download violent video games marked as safe from this app store. Airbnb's hidden camera problems continue, as one tech-savvy vacationer easily discovered. Garbage pickers selling billionaires' trash, including Mark Zuckerberg's. As we get closer to tax day, hackers are ramping up scams (you need to hear about this one). These stories and more tech news. A security flaw in Apple's IOS allows anyone to make a call or send texts on locked iPhones. Office Depot has been fined $35 million by the FTC for a service the government says was a fraud. Find various ways to detect if someone has been snooping through your computer. The large phishing group London Blue is making serious inroads in the U.S. and getting bolder with its scams. Adobe's After Effects can now make some moving images disappear. Listen to all these and more high tech news. Ride-sharing companies have become commonplace — and that's causing some deadly incidents. Learn how to spot a fake ride-sharing driver. A recent data breach exposed the credit card information of 2 million people. Is it time to rethink cash? Hundreds of scam ads on Facebook are promising big tax breaks. Drop the phone and start talking face-to-face again. A fake viral video shows a giant Amazon blimp letting loose a swarm of delivery drones. Listen to these stories and more tech news. As many as 540 million Facebook records containing personal data were found on unsecured servers. Consumer Reports has started a petition demanding the FCC require phone carriers to stop spoofed robocalls. A third-party study finds that AT&T has the fastest wireless network. Google rolls out Duplex, which can make reservations for you using a very human-sounding voice. Some teens in New Jersey crashed their school's Wi-Fi to avoid taking a test. Listen to these stories and more tech news. So much for that relaxing vacation. The number of hidden cameras found in Airbnb rentals is on the rise. A new cellphone scams lets a thief take complete control of your phone. Call it karma. If you pirate T.V. shows, not only are you breaking the law, but you also risk malware and identity theft. Google and Walmart are joining forces to create their own grocery ordering program. More wearable devices to track your heart are coming. Listen to these stories and more tech news.